Last year I had a great chance to explore France, something I am ashamed to say I had never done. Ashamed because Paris is my favorite city in the world and I’ve spent a lot of time there; I even lived there briefly. But until last year I never really ventured beyond the confines of the City of Lights. All of that changed as I meandered down the western part of the country to the south, stopping at towns and cities along the way. One of my favorite stops was a city I knew nothing about before visiting, Angoulême. My hotel was funky, it smelled of old pot and colorful were pillows strewn about. It’s as if some hippies said, “Let’s start a hotel,” and my accommodation for the evening was born. But it was in the center of town thankfully, a saving grace that made me instantly forgive the tchotchkes lining the dresser in my room. It was an inauspicious start to a city of great history, beauty and as I learned determination. Like so many towns in France and Europe it’s old, has seen it all and today enjoys combining the past with the present. 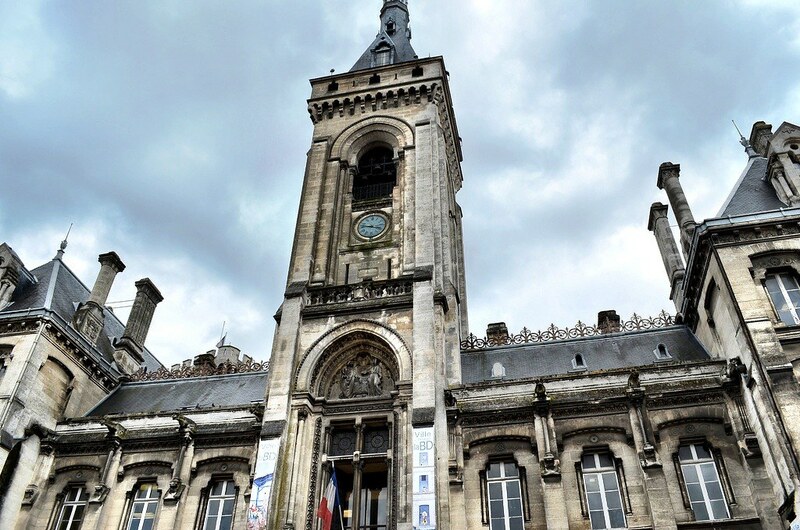 Stunning architecture, old churches and open squares, it’s the quintessential French town, but with a twist. 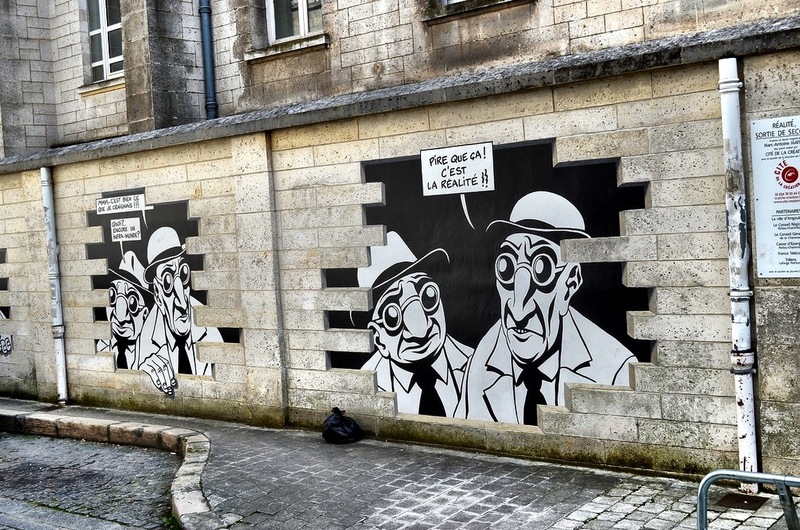 Angoulême is also famous for its comic strips and hosts the annual International Comics Festival. Artists specializing in the funny arts call Angoulême home and the local university is a base for not just comic instruction, but courses in all manner of arts. This has in turn created a hip, somewhat liberal and definitely quirky community. Walking down impossibly old streets and alleyways, one suddenly finds themselves standing in front of massive comics drawn with meticulous care on the sides of buildings, walls and even bridges. My favorite part of Angoulême wasn’t learning about its impressive history, it was this comic crash course and seeing how many of the graffiti works of art I could find on my own that made the visit memorable. That’s not to say the city doesn’t enjoy the normal tourist delights, it definitely does and the Museum of Angoulême is one of the best history museums I’ve ever been to. It was also in Angoulême where I enjoyed my favorite meal in France at a quiet bistro on a quiet street near the center of town, the Restaurant le Passe-Muraille. The food was homey, classic, well executed and delicious. My favorite item on the menu was the Oeuf Cocotte, eggs baked in a small dish with cheese, ham and other tasty morsels of Francophone deliciousness. Like any great destination though, there’s not one sight or restaurant I can point to that defines the experience, that makes it great. Rather the whole is truly greater than the sum of its parts and I can’t recommend more strongly Angoulême as a great stop on your next French adventure. 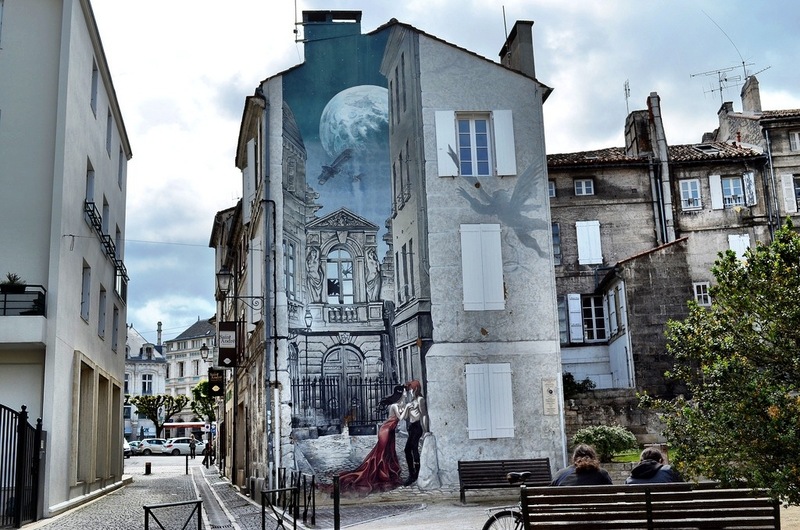 love it – combine old french charm with comic strip graffiti and create a very cool destination – I’ve added it to my to-do list! I LOVE these photos, wow!!! You’ve sold me on visiting. I learned (and forgot again) about the ANhoul^me Comic festival at university a couple of years ago. Love those street comics. They look amazing! And of course kuddos to you for the great photography. Beautiful photos! I love the graffiti on the older buildings. This city also has a great car race called Circuit des Remparts, which usually takes place in September and is a must for old sports car enthusiasts. Great to know and thanks! I like the feel of this travel. Easy and slow. Reminisce about the place’s antiquity, yet the graffiti creates excitement. Another place worth visiting in France other than the usual suspects. Thanks for the great post! Thanks for the kind words and I hope you get a chance to visit! Great you share our love for the city of Angoulême. Also the counryside around the city is breathtaking. Yes it is, without a doubt. I drove there and was lucky to see a lot of it. Well Done Matt , your photos and text have really captured the life and timeless quality of this much under-rated City. 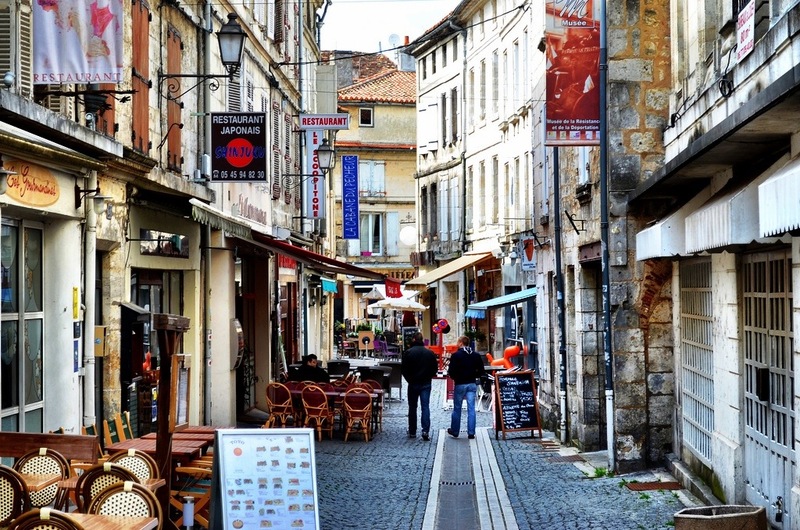 I have lived in and around Angouleme for more than a decade now, and its charms should be better known for travellers – thank you for a great article. Thanks John, that is indeed high praise from an expert in the city and I appreciate it. It really is a great city and I hope to return one day! well the whole country will be cold, so if not Angouleme, you’d still have to stay somewhere. 🙂 I love visiting Europe in the winter, sure it’s cold but you get to experience a different side to it. Thanks for this article on my hometown. I now live in Bangkok (which I also really like) but seeing your pics and all the memories that come with makes me miss it so much right now. What a great find! It’s always good to stumble across new destinations (online or otherwise). 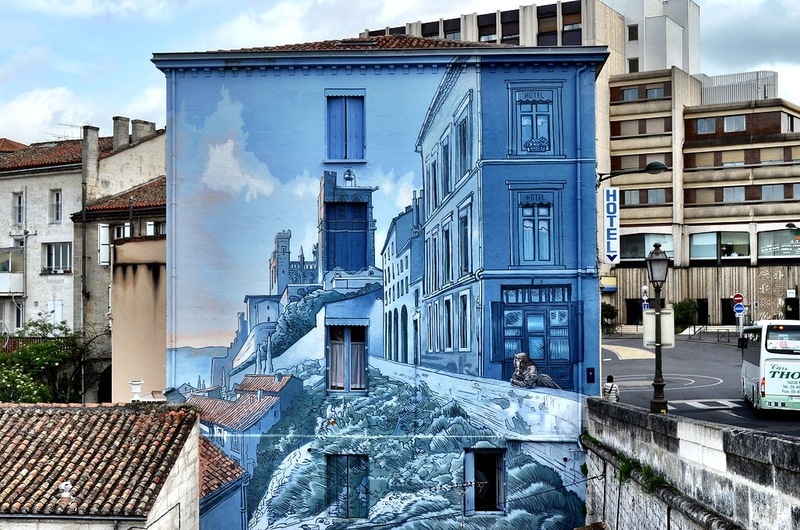 I sahll be adding Angoulême to a long list of must see places in France. Great to hear Miles and thanks! I love the name of the city for starters. It sounds so ye olde medieval Europe. It looks gorgeous too, and reminds me that I need to go and visit France as well! My time in the country has been woefully short. Never even been to Paris…well, unless you count Disneyland Paris. We’ve lived half an hour north of Angouleme for the past ten years, and we love the city. You’ve written a great article Matt. Thanks so much Sally, great to hear from a local that I got it right! This is certainly one of those cities with an ominous reputatio. good to see a different perspective on it. Being from Detroit, I completely understand about the ills of a city being the only thing people hear. Definitely adding it to places to visit. Thanks for sharing this beautiful city Matt.